This beautifully renovated 2 bedroom 1 bath home features not one but TWO garages! The home has an attached 1 car garage and there is an OVER-SIZED, two story workshop / garage with electricity and even a wall AC unit to help keep it cool. 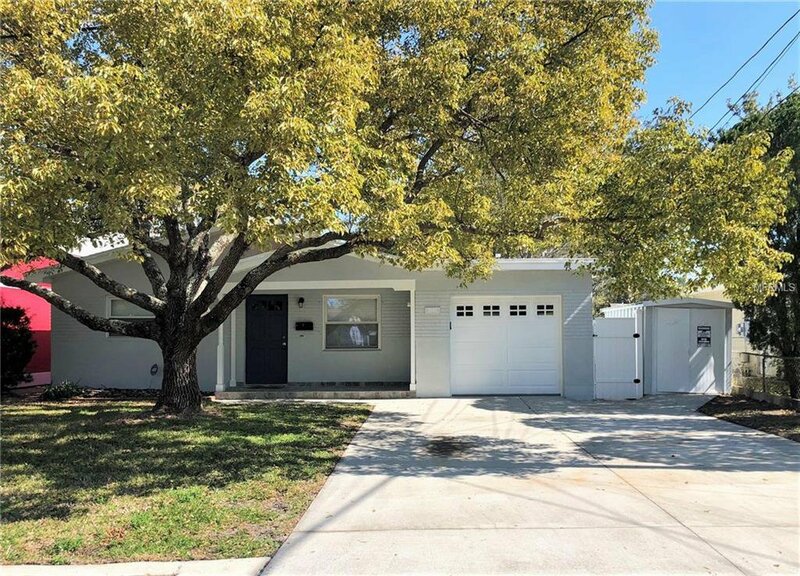 The interior of the house has brand new flooring throughout, new paint inside and out, a fully updated kitchen with granite counters and stainless steel appliances, and much more! The layout is perfect with a large living area, dining space, and extra nook that could work well as a sitting room or mud room that leads onto the screened patio. The property is on a corner lot so the entrance to the workshop / garage is on a different street. In a great location just down the street from The Shoppes at Park Place, a movie theater, grocery stores, restaurants, and so much more! Listing courtesy of PALM ISLAND REALTY. Selling Office: SIGNATURE REALTY ASSOCIATES.